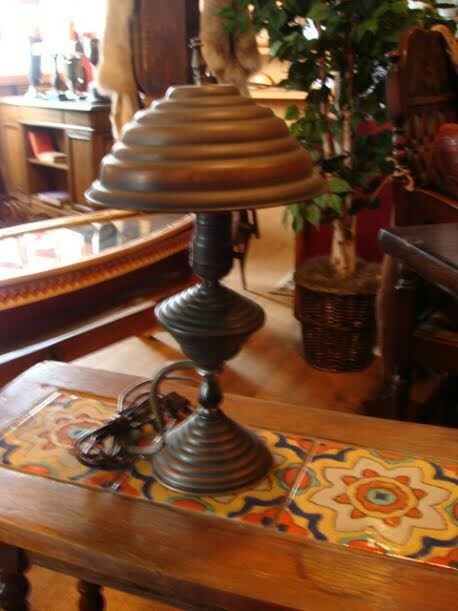 Small 1930's Copper Lamp including the shade. Newly wired. Small 1930's Copper Lamp including the shade. Newly wired. Please email cowboycabin@centurytel.net with questions or call 406 270-2842.